Engineered from the ground-up in their word-class North American manufacturing facility, the high-brightness Crimson HD25 has been designed to meet the special demands found in large venues, live events and high-usage environments. Featuring an IP5X-?sealed, solid-state laser light source in a rugged and compact chassis, the Crimson HD25 provides years of reliable and virtually maintenance-free operation. 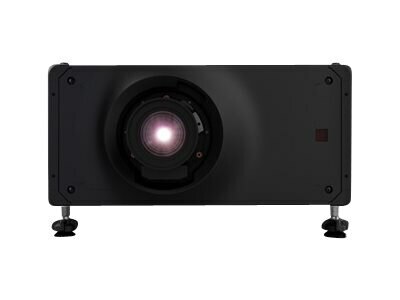 Add to this the enhanced color performance of Christie BoldColor Technology and the ultra-fast processing of Christie TruLife electronics and you benefit from a powerful and easy to use projector that will quickly become your go-to solution for demanding, large venue events and applications.